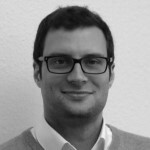 Dr. Stefan Morana ist seit November 2015 leitender wissenschaftlicher Mitarbeiter in der Gruppe Information Systems & Service Design am KSRI und IISM. Measuring Service Encounter Satisfaction with Customer Service Chatbots using Sentiment Analysis [in press]. Feine, J.; Morana, S.; Gnewuch, U. Web Survey Gamification - Increasing Data Quality in Web Surveys by Using Game Design Elements. Schacht, S.; Keusch, F.; Bergmann, N.; Morana, S.
Conceptualization and Design of Process Guidance Systems. Dissertation.